At Queen Victoria School, Physical Education plays a vital role in developing and refining the four capacities of the Curriculum for Excellence. We aim to not only encourage our students to develop knowledge, understanding and skills across a wide range of activities but also to challenge each individual to reflect and consider the Significant Aspects of Learning that are embedded in our planning. As successful learners, the children learn both independently and as part of a team or group. This takes place though a well-balanced and varied program of activities. Our aim is to equip each student with the necessary knowledge and skills so that their understanding of movement principles and fitness that underpin quality performances is secure. Our syllabus provides many opportunities for the students to effectively contribute throughout their time at the school. Through team games, coach education, Sports Leader programmes, peer assessment, the pupils learn to communicate effectively, solve problems, and work collaboratively. These are all skills that are transferable and important in life and work later on. One of our main aims is to ensure that each individual is confident in their own ability and through Physical Education we look to ensure that pupils’ confidence can be significantly enhanced through a sense of physical, mental, social and emotional wellbeing and self-respect stemming from their participation in PE. This will often include experiences which help to develop their psycho-motor skills. 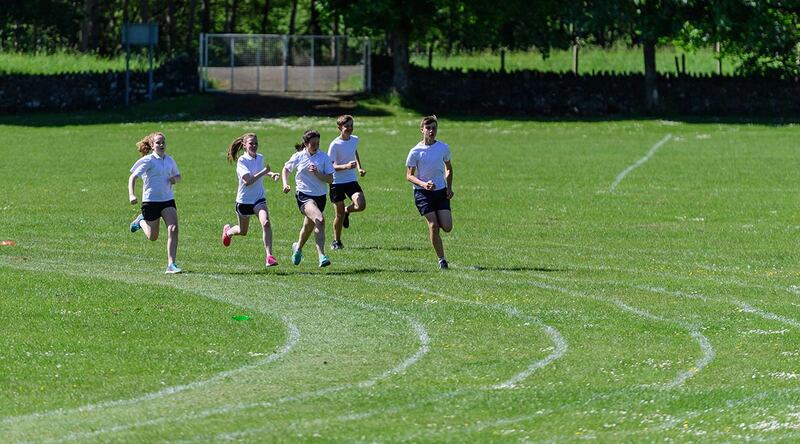 We look to enable pupils to pursue a healthy and active lifestyle. Pupils have opportunities to achieve in a wide range of different physical activities which include gymnastics, individual, team, fitness and water based experiences. We look to greatly influence the degree to which pupils develop confidence by ensuring that the pupils’ experience includes opportunities for guided discovery, problem solving, peer and self-assessment and individualised learning. Pupils respond positively and gain in confidence from these varied approaches. As responsible citizens, our pupils are enabled to participate responsibly in and contribute to the sporting and social life of our school and community. We look to instil an appreciation and respect for contributions made by others and that the students learn to participate responsibly in all activities. Through taking part in a variety of physical and health promoting experiences, pupils develop the resilience to appreciate the outcomes of competition, for example the emotions involved in winning or losing. They learn how to be ‘good sports’. They are helped to recognise that participation has a positive impact on improving performance and is part of an ongoing learning process. Pupils are also given the opportunity to recognise and cope more effectively with risk and handle such experiences in a mature and responsible manner. 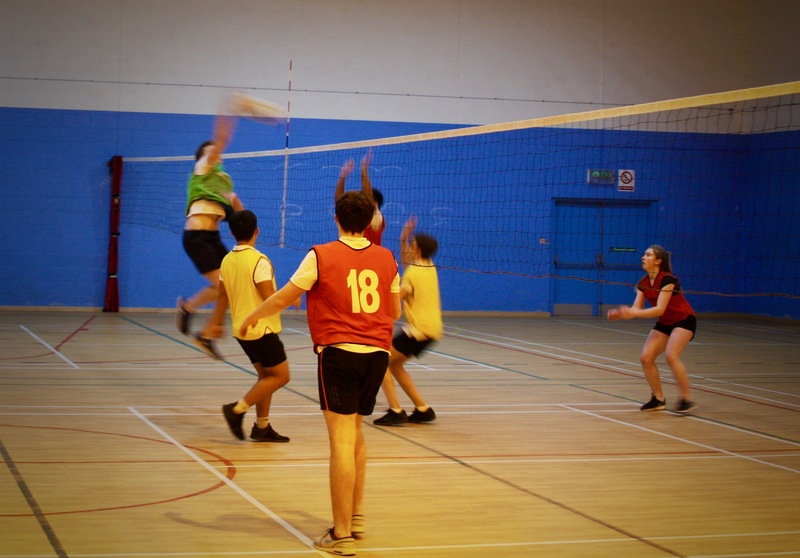 In S4, students can then opt to take Physical Education as a National Qualification. The main purpose of the Course is to develop and demonstrate movement and performance skills in physical activities. By engaging in practical activities, learners can demonstrate initiative, decision-making and problem-solving. The National 4 and 5 course encourages learners to develop a positive attitude towards a healthy lifestyle, and the contribution that physical activity makes to this. The Course also provides an opportunity to support the way that individual attitudes, values and behaviours are formed. The skills, knowledge and understanding that learners acquire by successfully completing this Course are transferable to learning, to life and to the world of work. In S5 and S6, the students can then move onto Higher and Advanced Higher courses, allowing them to benefit both intrinsically and extrinsically from a demanding, challenging environment. There is an extensive extra-curricular programme for the pupils at Queen Victoria School, as well as time-tabled Games lessons. 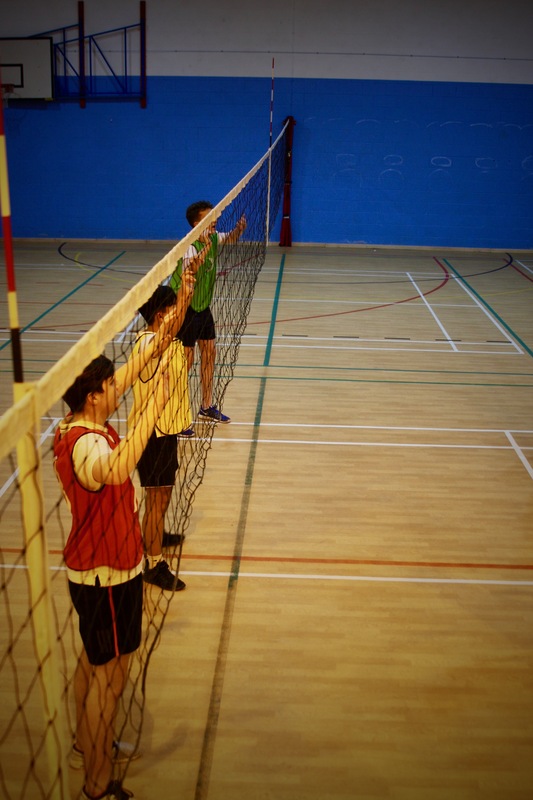 Regular competitive fixtures and recreational programmes take place, varying from term to term. We enjoy a full fixture list for rugby, hockey, athletics and football, with many other opportunities arising in other activities. Throughout the year, our pupils have the opportunity to compete against other schools at rugby, hockey, football and. On Saturdays, often well over 70% of the students are involved in representing the school and are given the opportunity to be part of a team. This provides valuable experiences that each individual can benefit from and contribute to. It is a valued aspect of the School and our traditional fixture lists ensures that we have meaningful, competitive matches which ensures that the pupils are given every opportunity to excel in. The facilities for sport at the school are excellent and a knowledgeable and enthusiastic coaching team work tirelessly with pupils to ensure that they enjoy their sport and fulfil their potential. Important sporting values such as knowledge of laws, sportsmanship, codes of conduct, respect for officials, discipline, reliance, leadership, teamwork and simply having fun, are all fostered within the programmes provided.